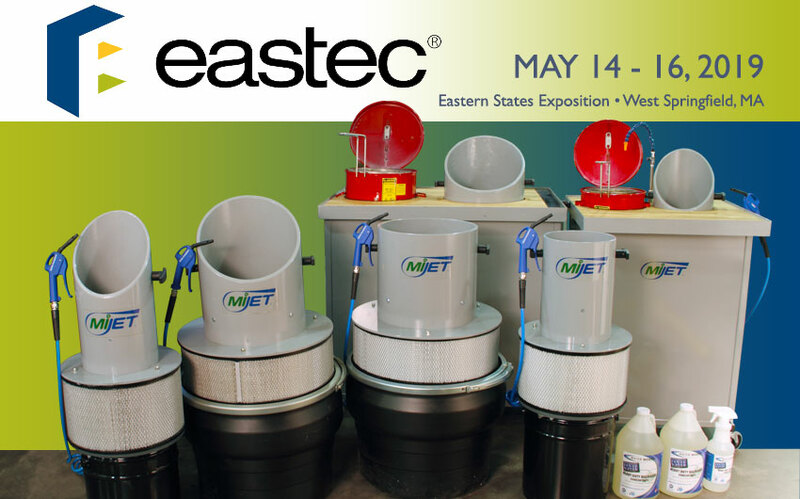 See a live MiJET demonstration! Small, self-contained, and attaches to existing air lines. Keeps floors clean, prevents slip and falls. 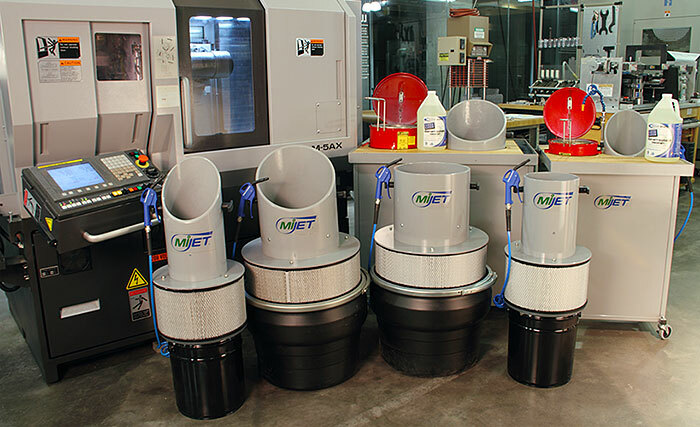 The MiJET units in our facility have become a critical part of our workflow, saving lots of time compared to our previous parts cleaning process. Our air quality has also improved due to the fact we...	Read More.. 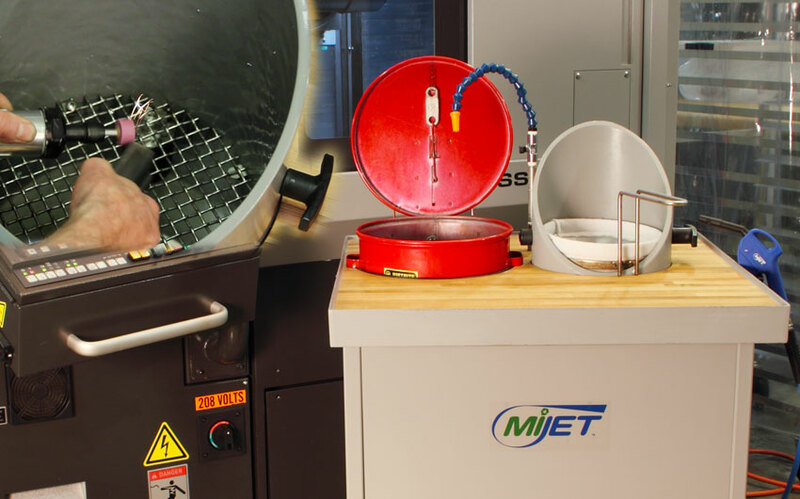 The MiJET units in our facility have become a critical part of our workflow, saving lots of time compared to our previous parts cleaning process. 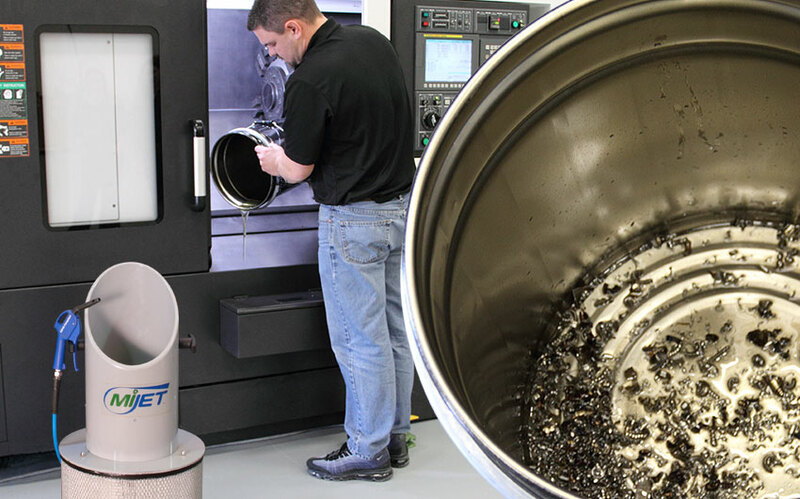 Our air quality has also improved due to the fact we no longer blow off parts into the machining area. 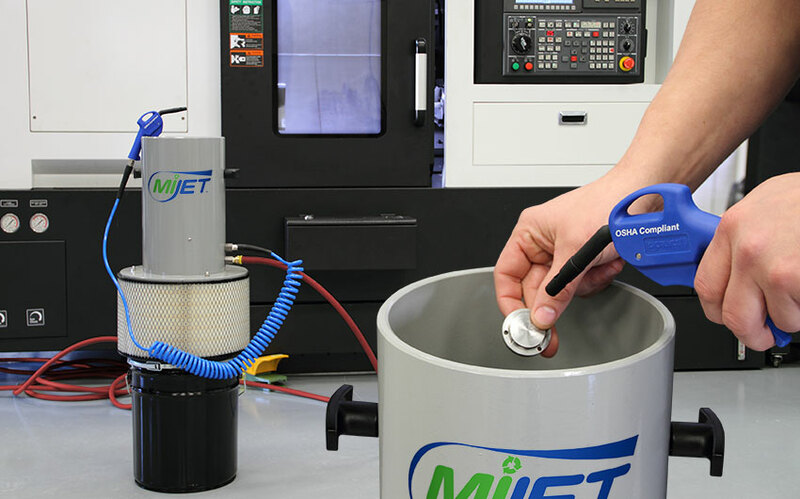 The size of the MiJET unit is considerably smaller than our previous unit, saving space as well. 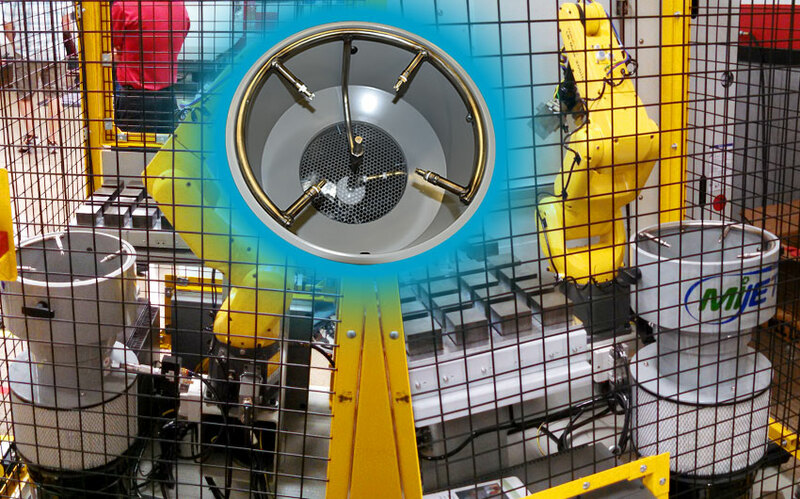 Our operators spend significantly less time on clean-up, and the facility is much safer since slippery floors are no longer a concern where MiJET units are in place. Our MiJET unit is amazing! It really makes a difference in keeping the coolant off of the floor. Thanks for making a great piece of equipment! I think the MiJET is a great and innovative product! Ever since our shop purchased MiJET units, my grinding area has never been cleaner. 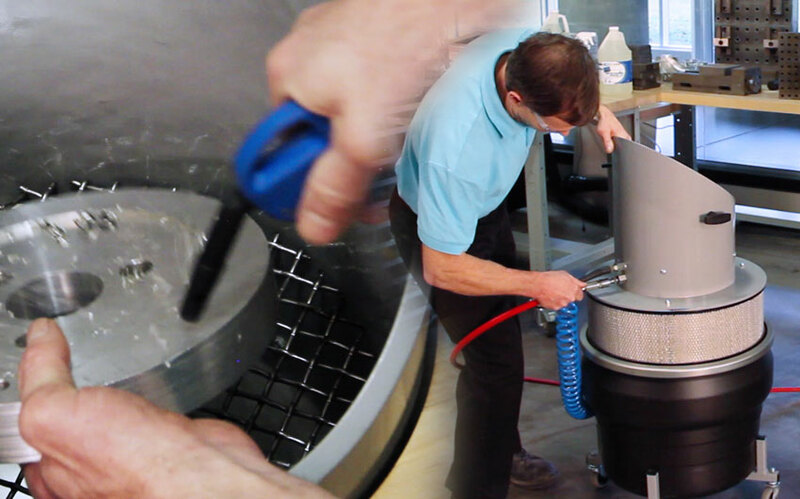 Also, not blowing the debris from wet grinders all over the...	Read More.. I think the MiJET is a great and innovative product! Ever since our shop purchased MiJET units, my grinding area has never been cleaner. Also, not blowing the debris from wet grinders all over the shop, has decreased my asthma symptoms. Thanks! Tim Miller – Tool maker for over 20 years, MachineCraft Inc.
We bought a MiJET and the machinists love it. It reasonably priced, does what they claim it’ll do and best of all this company is a PMPA member. Make sure you buy the basket inserts, and I’d...	Read More..
We bought a MiJET and the machinists love it. It reasonably priced, does what they claim it’ll do and best of all this company is a PMPA member. Make sure you buy the basket inserts, and I’d recommend the wheeled dolly. At the time we bought the MiJET I bought another system that does not work nearly as well and it cost me twice as much. I hesitate to share that name over the span of the nation as I do not want to disparage anyone but I thought if I could save you testing / experimenting time I would mention that we did so and MiJET was the clear victor in the contest. Dan Vermeesch, Plant Manager Micron Mfg Co. The areas are much cleaner where the MiJET units are being used as compared to other areas. 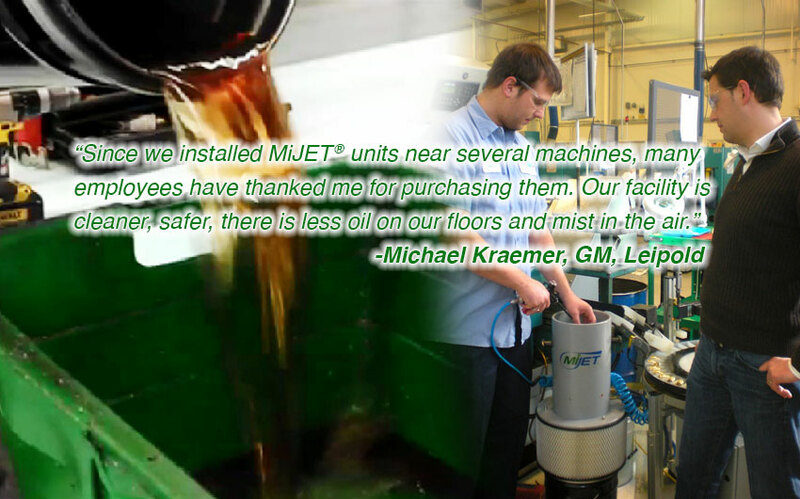 Since we installed MiJET units near several machines, many employees have thanked me for purchasing them. 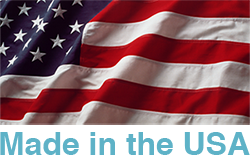 Our facility is cleaner, safer, there is less oil on our floors and mist in the air. I would like to see one at every machine on our floor. I am impressed with the amount of oil captured in the MiJET. Now all of that oil is no longer settling on the floor.